The University of Sonora (Universidad de Sonora, abbreviated as Unison) is located in the state of Sonora, Mexico. It was founded in 1942 after a committee to create a state university was formed on August 10, 1938. According to the Mexican National Center for Evaluation for Higher Education (CENEVAL), Sonora has recently ranked 5th in the Mexican university ranking survey. It has six post-graduate subjects accredited in the level of academic excellence for the "Mexican Research Council in Science and Technology" (Consejo Nacional de Ciencia y Tecnología de México, CONACYT). It is currently, leader of the National Association of Mexican Higher Education Institutions (ANUIES) in northwestern Mexico. 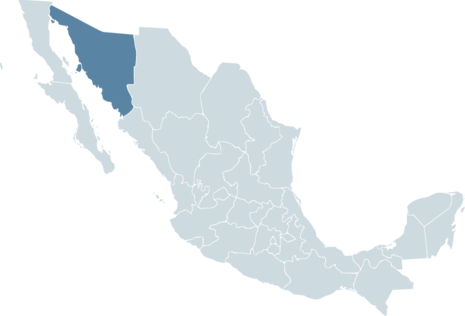 Sonora is one of the 31 federal states of Mexico and is located in the northwest of the country. Sonora's western shores are washed by the Sea of Cortez (or Gulf of California, as it is also known), which is connected to the Pacific Ocean further south. Sonora is thus linked to the so-called "Pacific Rim," which offers ample opportunities through the port of Guaymas for economic development as well as many challenges and opportunities for sustainable use of its natural resources. The Sonoran coastline is 1,208 km long.